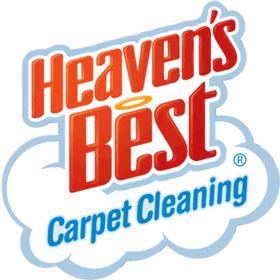 The process Heaven's Best uses to deep-clean your carpet is the most efficient, environmentally-friendly, and cost-effective way to clean your carpets. We don't soak your carpets and pads, we don't push dirt and grime back down into the carpet backing, and our carpet cleaning process is safe and earth-friendly. Water extraction carpet cleaning has been the standard for decades, but more carpet cleaning professionals are turning to low moisture carpet cleaning. 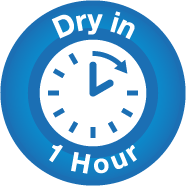 Because of updated technology and new techniques, your carpets can be dry in under an hour! We thoroughly vacuum to loosen any high level debris, using a high-powered industrial vacuum. We then lightly mist your carpet with hospital-grade cleaner. 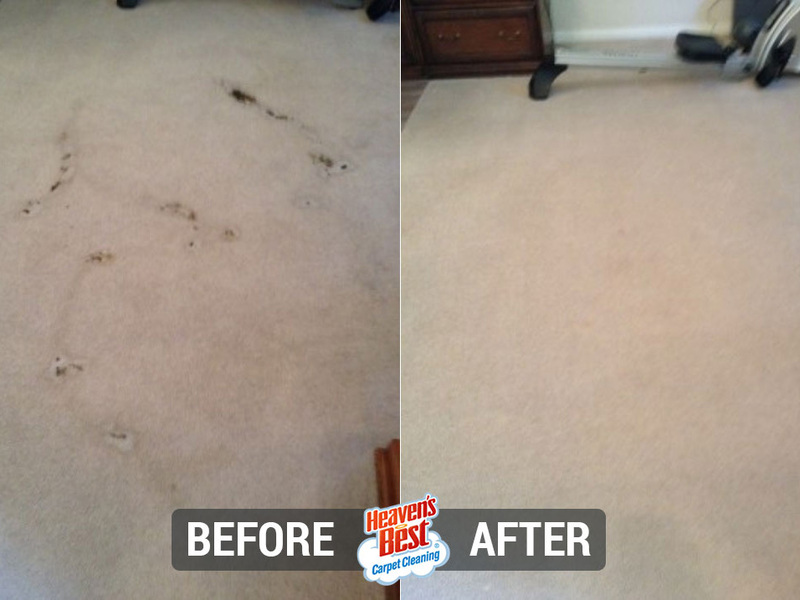 We allow this cleaner to sit on your carpet for a few minutes, allowing it to dissolve any surface stains. If there are any heavier stains, we will apply a special-formulated deep cleaner as well. Then we'll use an orbital carpet cleaning machine outfitted with special cotton carpet cleaning pads. These pads, when used in conjunction with our orbital cleaner, are designed to gently scrub carpet fibers. We then "rake" your carpet with a stiff carpet tool designed to lift the carpet fibers back into an upright position. 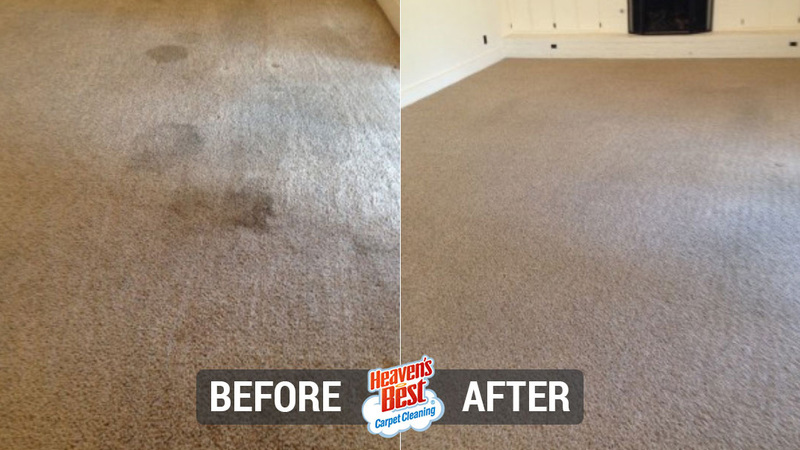 This process can help restore the look and feel of the carpet pile in high-traffic areas where the carpet has been matted down. 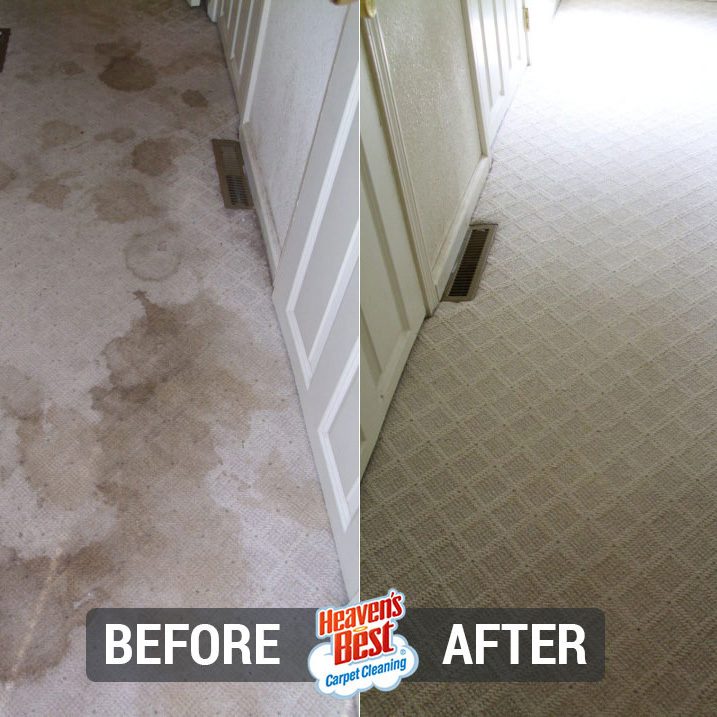 Here at Heaven's Best Carpet Cleaning we believe that having a clean home should be simple. Our staff of carpet cleaning specialists has the expertise and professionalism to keep your home fresh, clean, and safe for all of your loved ones.